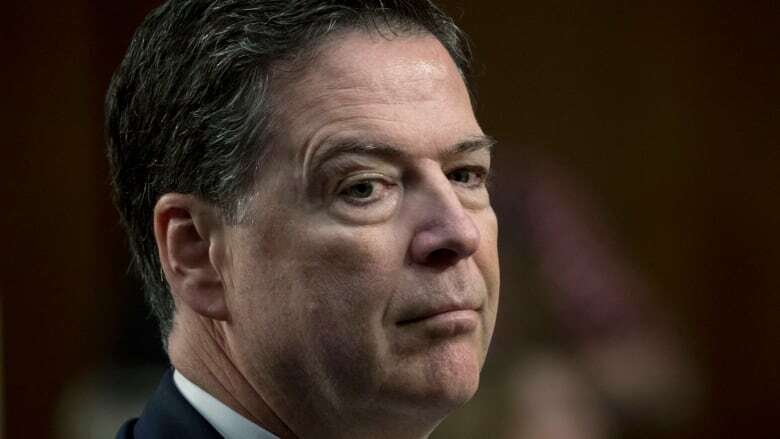 James Comey, the FBI director who was fired last year by President Donald Trump, is urging voters to support Democrats in November's midterm elections. Comey said on Twitter that the "Republican Congress has proven incapable of fulfilling the Founders' design that 'Ambition must ... counteract ambition."' That refers to the need for Congress to provide checks and balances to presidential power. Comey writes: "All who believe in this country's values must vote for Democrats this fall. ... History has its eyes on us." Having sold out our nation on an international stage, Mr. Trump will now explain it all to Sean Hannity and Tucker Carlson? I’m guessing RT and Sputnick were unavailable. He owes it to our nation to sit down with a serious journalist. The former FBI director recently said he no longer considers himself a Republican, citing the party's inaction in confronting Trump on his "falsehoods" in interviews, including with CBC News to promote his book A Higher Loyalty: Truth, Lies and Leadership. "It deepens my frustration that more people, especially Republicans, aren't saying: 'You know what? We ought to knock this off.' Yeah, there are important policy gains we hope to get, but I want to be able to look my grandkids in the face and say I stood for something, and I protected something, that has been at the spine of this country since its founding," he told CBC's The Current in May. On Monday, after Trump's news conference with Russian President Vladimir Putin, Comey tweeted, "This was the day an American president stood on foreign soil next to a murderous lying thug and refused to back his own country." Comey served under George W. Bush as deputy attorney general and was appointed by Barack Obama as FBI director in 2013. Trump fired him in May 2017, less than halfway through Comey's 10-year term. While Trump said he fired Comey for his handling of the investigation into a private server used by then Secretary of State Hillary Clinton — a probe for which Comey has been criticized in an official report — the president at other times has admitted it was the FBI chief's inquiry into "this Russia thing" that was a main factor. Comey's firing paved the way for the appointment of another former FBI chief, Robert Mueller, as special counsel directed to investigate allegations of Russian interference into the 2016 U.S. election and interactions between foreign entities and the Trump campaign. Trump has tried to cast Comey and Mueller as well as members of the special counsel team as Democrats in numerous tweets disparaging the investigation, insisting there was "no collusion" between his campaign and Russian officials.